I'm a lover of anything dark and dramatic - especially in the winter months when everything is so white and grey. I have far far too many dark lipsticks, but when I saw swatches of Copenhagen from NYX's Soft Matte Lip Cream line I knew I had to pick it up! Copenhagen is a beautiful burgundy red with aubergine tones. 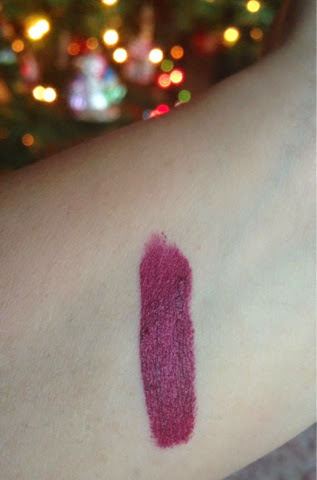 At first it goes on creamy but dries to a nice matte texture. This is one of those formulas that you forget about once you apply it. It won't last you through a meal as it does rub off and it will require re-application. These liquid lipsticks are probably some of the best on the market right now: long-lasting (if you're not eating), not overly drying and very pigmented. Have you tried these Soft Matte Lip Creams? 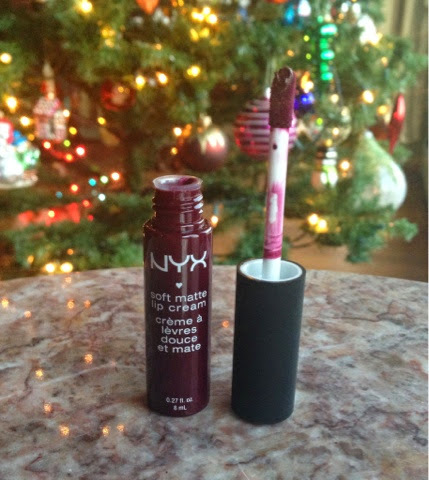 What is your favourite NYX product?